The online version of this article ( https://doi.org/10.1186/s13643-019-1003-y) contains supplementary material, which is available to authorized users. Non-specific low back pain (NSLBP) is a prevalent symptom that cannot be attributed to an explicit pathology or anatomical structure in the lumbar spine [1, 2, 3, 4]. NSLBP is the greatest contributor to the global burden of disease, responsible for approximately 60 million years lived with disability (YLDs) [4, 5]. Contemporary evidence suggests some 540 million people globally are likely to have a form of low back pain, and estimates point to a significant 17.3% increase in prevalence between 2005 and 2015, signifying the problem is only growing . The symptomatic course of NSLBP can be acute, sub-acute, or chronic; is usually recurrent; and can result in activity limitation or participation restriction [6, 7, 8]. NSLBP contributes the most disability burden to persons of working age [4, 5]. Work disability resulting from NSLBP is a substantial economic burden. Several previous estimates of the direct costs of NSLBP, such as healthcare and rehabilitation, have cited expenditure in excess of billions of dollars. Direct costs are a fraction of the total costs when accounting for indirect costs, such as lost productivity, that can be more than ten times greater . The human cost of work disability due to NSLBP must also be considered. Workers who experience NSLBP have previously reported “a loss of function”, “damaged relationships”, and a “fear of losing their job” . NSLBP is usually self-limiting with a positive prognosis . Nevertheless, many people still seek treatment; approximately 3 in every 100 General Practitioner visits in Australia were for back pain in 2015–2016 . Evidence-based treatments for NSLBP are well established. There are a multitude of primary studies, systematic reviews, clinical practice guidelines, and overall expert consensus regarding treatment . One key recommendation from most guidelines is that those suffering from NSLBP should continue to be active, and, where possible, stay at work [12, 13, 14]. Previous literature has established that work is beneficial for health , and recent studies have acknowledged this factor when examining NSLBP . Contemporary literature indicates that despite established evidence-based treatment and management of NSLBP, income support systems may influence healthcare quality for those with NSLBP [19, 20]. The existing evidence base about good and poor quality treatment and diagnostics for NSLBP is substantial [12, 14, 21, 22, 23]. Evidence suggests good quality healthcare for NSLBP includes a biopsychosocial approach and a focus on encouraging a return to activities such as work and exercise [12, 14, 21, 22, 23]. Evidence also identifies specific treatments such as surgery and opioids and diagnostics such as advancing imaging (MRI) as poor quality, with limited benefits relative to higher risks associated with such procedures and, in some cases, detrimental or adverse outcomes [12, 14, 24, 25, 26, 27, 28]. Healthcare quality potentially influences another key outcome, functional capacity [24, 26, 27, 29]. Functional capacity describes the ability of an individual to perform activities of daily living and work and may also be directly influenced by income support systems . Literature further indicates contextual factors such as parallel social security policies, socioeconomic environment, and other national and regional differences could contribute to changes in outcomes such as functional capacity and healthcare quality [20, 31, 32, 33, 34]. 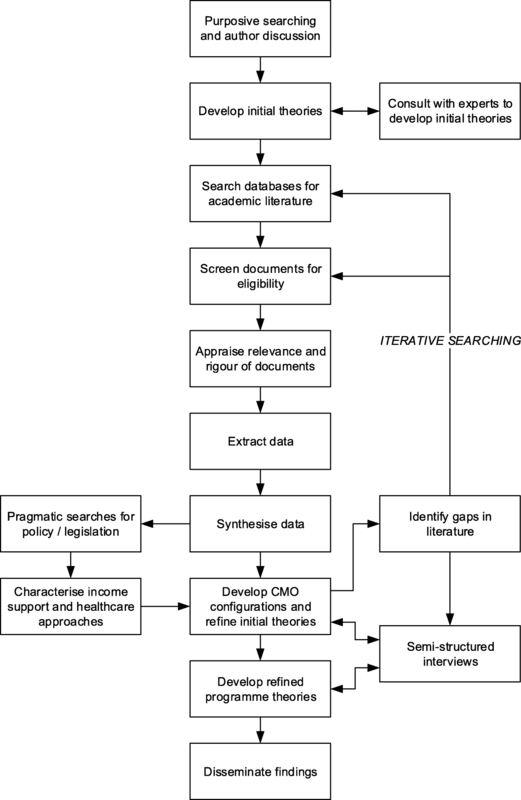 With these complex and context-dependent possibilities in mind, we have chosen a realist review methodology as the structure of this literature review. 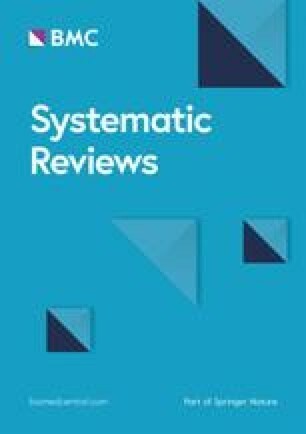 A realist review is a type of evidence synthesis designed to examine how complex social programmes such as income support systems work . Realist reviews are based on the philosophy of realism. Realism provides a platform to explain how social phenomena and programmes work by accepting that both tangible reality and social constructs can generate “real-world” outcomes [36, 37, 38]. Realist reviews rely on the generative model of causality rather than the successionist model of causality . This argues that rather than causality being inferred simply from “X cause and Y effect” (successionist), causality can only be proposed when there is an understanding of the mechanism that links the events, and the context in which the mechanism generates an outcome (generative) . Realist reviews provide an “explanatory, rather than judgemental focus”, asking, “What works?”, “How does it work?”, and “Who does it work for?”, rather than simply “Does it work?” . By synthesising evidence about context, mechanism, and outcome, realist reviews create context-mechanism-outcome (CMO) configurations; these form the basis of programme theories, which explain how a social programme works. As demonstrated in Fig. 1, each mechanism ultimately influences the functional capacity of the worker. Mechanisms may directly influence functional capacity, but we hypothesise that healthcare quality may also affect worker functional capacity; thus, the mechanism may have an indirect influence on functional capacity [24, 26, 27, 29]. Mechanisms 1 and 2 describe how income support systems may interact with the healthcare system to influence healthcare quality . Mechanism 3 describes how income support systems may interact with the workplace to influence healthcare quality . Finally, mechanisms 4 and 5 describe how income support systems interact with the workplace to influence functional capacity [43, 44, 45]. We will perform pragmatic searches in select bodies of literature. We selected legislation and policy databases identified and employed by Heymann et al. in a similar study to characterise international sick leave policies . These sources were combined with others and include the International Labour Organisation (ILO) NATLEX, EPLex, LEGOSH, and NORMLEX databases [53, 54, 55, 56]; United States Social Security Administration (US-SSA) databases ; International Social Security Administration (ISSA) publication database ; the Mutual Information System on Social Protection (MISSOC) database ; and the Organisation for Economic Co-operation and Development (OECD) document library . Where an approach cannot be sufficiently described by literature in these databases, we will purposively search elsewhere for literature such as annual reports.